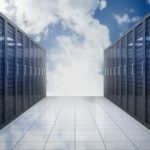 To cloud or Not to cloud, that is the question… or is it? The more people I speak with, the more everyone is saying they’re “Cloud First.” So, what does Cloud First mean, and how does cloud play a part in the Gaming Industry? First, let’s come to a common ground for the definition of cloud. To do this, we must understand that the cloud is not an abstract place that mystically exists in the ether. While it can sometimes seem mystical, it is neither abstract nor a place. When we talk about cloud, often people immediately think of the ever-popular AWS and Azure, or maybe SaaS offerings from companies like Box or Salesforce. While these are all examples of cloud, to be accurate, and contrary to their marketing Teams, they do not define what the cloud is. This is not to say that these examples haven’t had a tremendous impact in the definition of the cloud or in helping people know and realize the great benefits of the cloud, as they absolutely have done both. These are, however, examples of excellent public cloud services. To their contrary, many organizations use other technologies to build private cloud infrastructures. There is no greater example of private cloud infrastructure than OpenStack. OpenStack is a crowdsourced intelligence and community-driven suite of technologies which provided a greater impact in defining the cloud than any other single corporation offering a public cloud service. Knowing this is key to understanding that the cloud is not a place but instead is a way. Cloud is a strategy and the next evolution of the way of doing IT. When done correctly and well, it can be cost-effective, agile and efficient in a way that promotes IT’s ability to empower business. As far as the abstractness of the cloud, what you have on-premise in your private cloud, shouldn’t be abstract at all. If it is, then there’s a different place for you to start. The public cloud should be no less abstract for you. If you’re subscribing to a public cloud service, you must know and understand the level of the service you’re subscribing to. Different subscriptions may translate into what data center you’re hosted out of. They could be in one or multiple geographic regions in the same country, within foreign borders, or specifically designed for government entities. Further, your subscription level may translate into the fault tolerance or number of redundant copies of your data. There are thousands of public SaaS cloud offerings, and you must know your license agreements for any that you use. You need to know who owns the data in the service, how the public cloud service can use your data, and what happens to your data when you say it’s deleted. The Gaming Industry is one of the most innovative and technologically driven industries to have ever existed. Want proof? How about the ability to stay the test of time. Gaming has been around as early as written history. Today, you can walk into any major casino and long gone are the coin-operated slot machines, replaced with new interactive machines complete with player data tracking. Today, companies are starting to envision how Data Science can enable their business… Data Science was born in a Las Vegas sports book! Is the gaming industry embracing the cloud? You bet they are, and yet they can’t. With private cloud adoption, gaming companies are either doing it or already have been for some time now. The adoption of the public cloud within the Gaming Industry is where things get a bit more complicated – not because there’s a lack of interest or motivation. To the contrary, IT leadership in the Gaming Industry sees the value of public cloud offerings and wants to consume them in their organizations in every way that makes sense for them. This is no different than any other major industry. 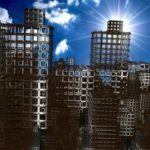 What is unique to the Gaming Industry is the regulations around the industry. From Sarbanes–Oxley (SOX) to the Health Insurance Portability and Accountability Act (HIPAA), many IT organizations can relate to the pains of governing regulations. None more so than the Gaming Industry… let me explain. If a gaming company operates a casino in Las Vegas, they’re subject to the governing rules and regulations set forth by the State of Nevada’s Gaming Control Board. If they own business units in Illinois, Missouri or any other state in the US that allows gaming, they are also subject to the rules and regulations set forth by the governing body in that state. When it comes to other countries, we don’t even need to bring up Macau. Instead, every community of Indigenous People within the borders of the United States gets to operate as its own Sovereign Nation. Operate a casino within its border, and you’re subject to their gaming regulations as well. Why is this so important? Because every Gaming Board defines how and where Gaming Data can reside. Some mandate that Gaming Data must stay within the borders of their jurisdiction. As a hypothetical example, let’s say Nevada allows the data to leave the state, while Illinois and Missouri do not. Further, let’s say AWS has a presence in Chicago, and Azure has a presence in Kansas City. In our hypothetical scenario, a gaming company has properties in all three states. This company could very quickly find themselves in a complex multi-cloud environment. With the fluidity of mergers and acquisitions within the Gaming Industry, much more complex multi-cloud strategies are the new normal. Every Industry has its own challenges, and the Gaming Industry is no different. 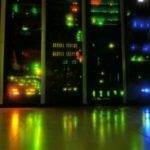 Cloud is the latest wave of innovative IT strategy and is here to stay for the foreseeable future. The Gaming Industry will continue to be innovative and adopt private cloud methodologies. Much like any other industry, they’ll consume public cloud services where it makes sense for their business. 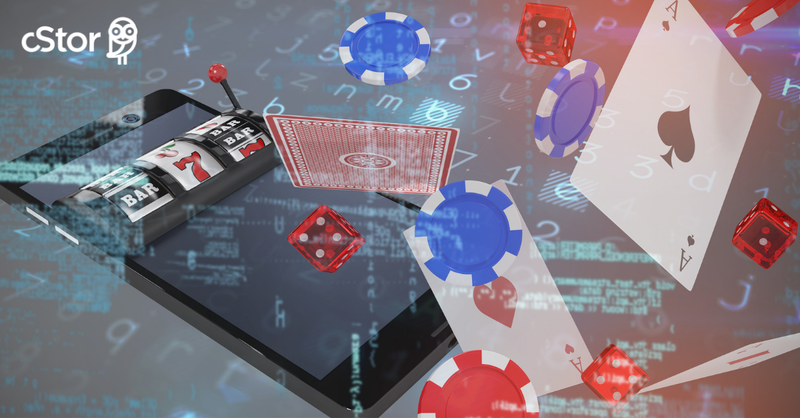 More so than any other industry, the Gaming Industry’s will manage the balancing act between compliance with regulations and enabling the agility and innovation demanded by a competitive landscape. If you need an expert partner to help clarify and implement your enterprise cloud strategy leveraging public, private or hybrid clouds in a way that meets all your regulatory and business requirements, cStor can help. Contact us today to learn more. Damien Brodie is a Solutions Architect at cStor. He is a technology evangelist who values the utility of simplicity. His focus is on empowering the line of business and ensuring continued success through ongoing improvements in people, process and technology.